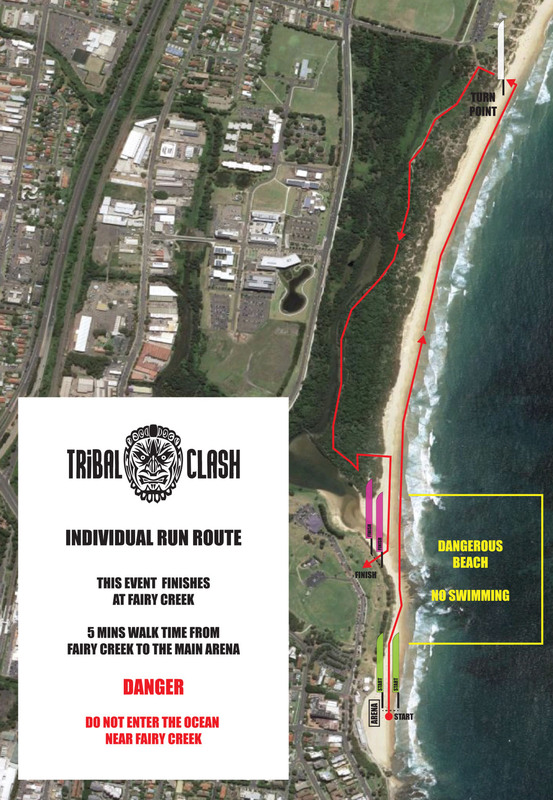 Below is a map of the run route, part of Event 2 at Tribal Clash Australia. The route is marked by flags and signposts, with marshalls along the route. The run starts in front of the main arena and ends at Fairy Creek which is about 5 minutes walk away.